Join us as we kick off a new year of serving God together by committing the life and ministries of our church to Him for 2019! Christmas At Morley - Christmas, What Does It Mean To You? Hormones affect us all at various times in our life, be it adolescence, pregnancy, illnesses or in menopause. Come join us as we listen to Dr Jane Weeks, who has been involved in sexual and reproductive health for over 30 years. There will be a time for discussion as well as stories being shared by other women about the things they wished their mother had told them. A yummy afternoon tea will also be provided. Join us for a night of fun and fellowship at the Twenty Eighteen Annual Dinner! $20 per adult $7 per child. 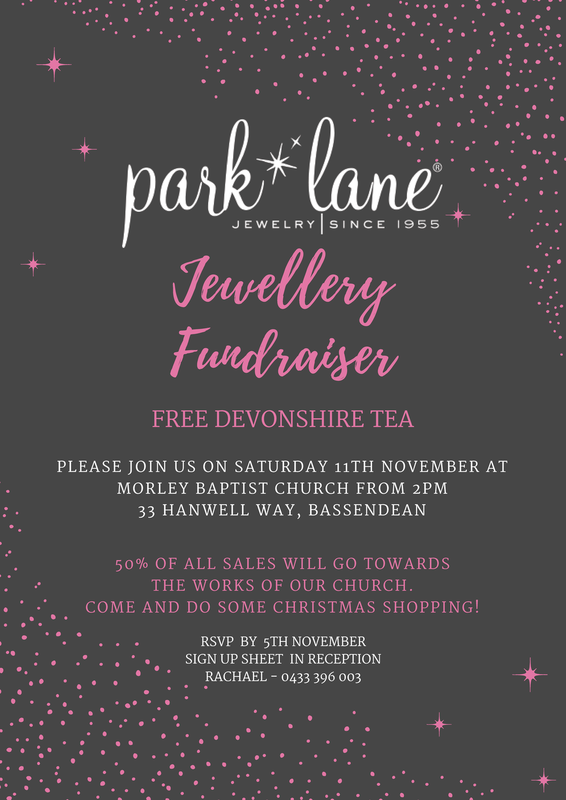 RSVP to reception@morleybaptist.org.au we'd love to see you there! A time to connect over lunch! Join us on June 10th following the morning service for a Fellowship Lunch. All are welcome and invited to attend. Please bring a plate of food to share. We look forward to seeing you there! If you haven’t tried Alpha, or haven’t tried Alpha for a while, we’d like to invite you to an evening of exploration. You’ll hear about the impact Alpha is having both in Australia and around the world and hear stories of people just like you who have stepped out with Alpha, and found that God has used it to reach people. Alpha now comes in several styles and formats, with relevant content to suit all audiences. Join us in honouring a woman who is special to you with High Tead at Riverside at Woodbridge on Saturday 19th May 2018. $20per person. Limited spaces available, so to book please RSVP with payment to Reception by the 6th May 2018. Come along to our Church Fete on Saturday 21st April from 9am to 2pm at 33 Hanwell Way, Bassendean. It's going to be a EXCITING day, full of fun for all ages!! Monday the 26th March at 6:45pm at the church, we have the Blokes BBQ. 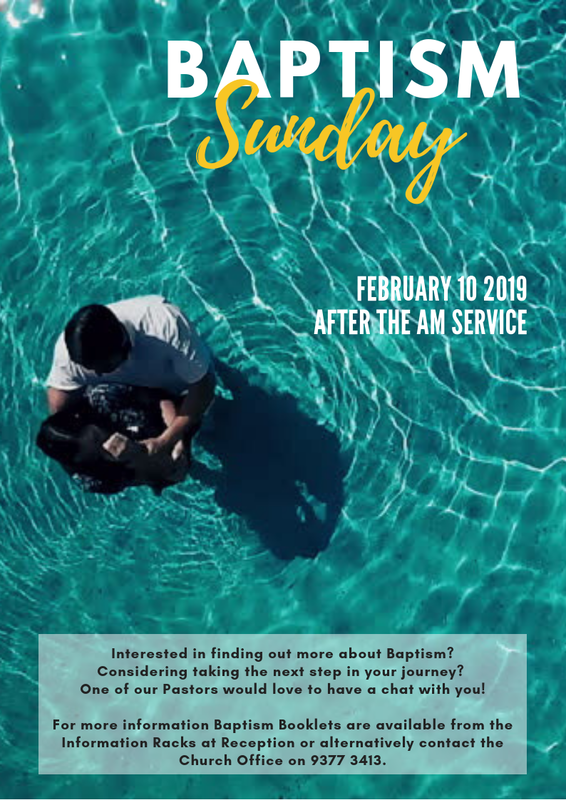 Ross Brough is the speaker and he will be sharing about the Mission Trip he went on earlier in the year to the Philippines. It’s set to be a great night and we would encourage men of all ages to come along and bring your mates with you as well. Join us for our Easter Services at 9:30am on Palm Sunday, Good Friday and Easter Sunday. These times will be filled with worship through music, drama, prayer and special messages from the bible! A great opportunity to bring along family and friends. We look forward to having you with us! For more information call Reception on (08) 9377 3413. Take advantage of this great opportunity to hear from Dr Casty Nyaga Hughes our keynote speaker on how to manage your money, make it go a bit further or spend it! Invite your friends and family to share this wonderful afternoon. 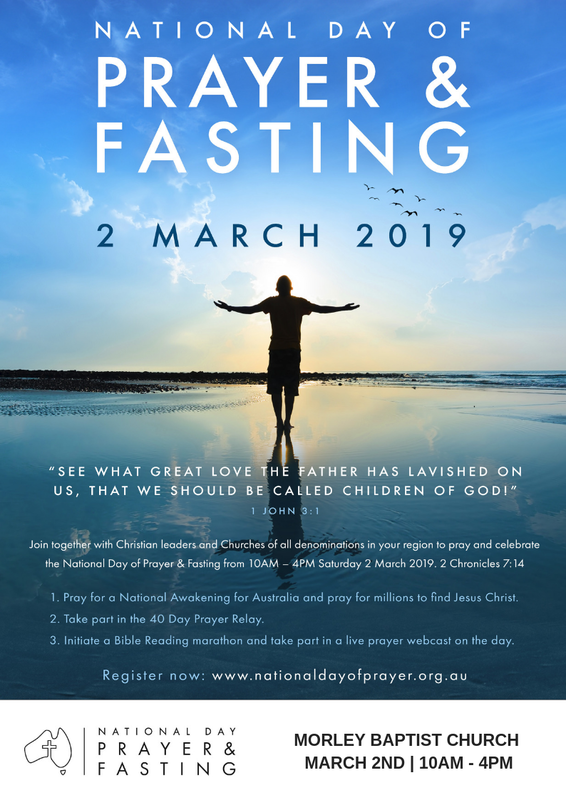 We are excited to host this nationwide movement of unity amongst the body of Christ. Join us from 10:00am – 4:00pm on Saturday 10th of February 2018. Come along for our Christmas Festival with Carols on December 10th 2017! 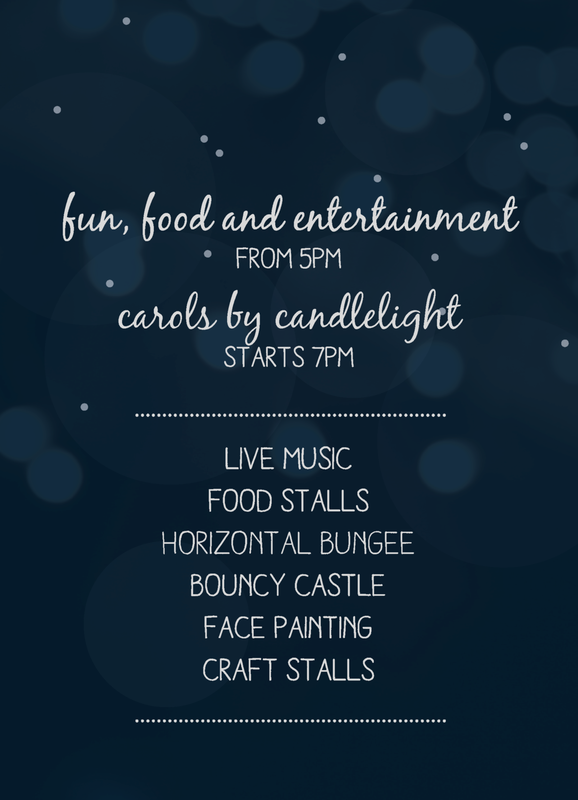 Fun, Food and Entertainment from 5PM and then Carols By Candlelight starting at 7PM. It's set to be an a awesome summer night for everyone! We hope to see you there! We'd love to have you join us for one or all of our Advent Services this Christmas (dates listed above)! Which include our Christmas Festival with Carols on December 10th (5PM) and our Christmas Day Service (December 25th 9:30AM). **Please note that all our morning services start at 9:30am with the exception on December 10th as there will not be a 9:30AM morning service. Instead we'd love to have you join us at 5PM for our Christmas Festival with Carols! Morley Baptist Church provides assistance in the training of Chaplains and Pastoral Carers, Counselors and Church Leadership through our program on Moral Injury and Moral Repair. Over the past three years Dr John Crosby has trained over a thousand people including many Pastoral Carers in Moral Injury and Terry Myers is currently studying a Master of Chaplaincy through Murdoch University. I AM JUST FEELING EMOTIONAL OK! 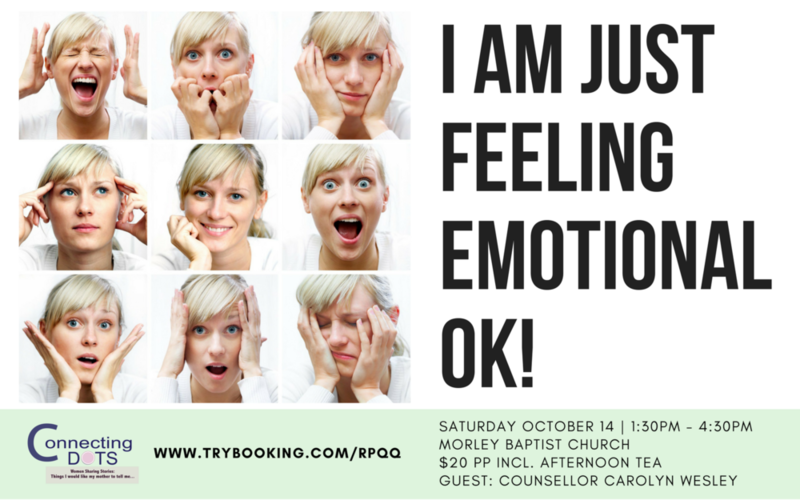 Join us for the afternoon as we consider some of the challenges of emotions in different seasons & circumstances of life. We are excited that Counsellor Carolyn Wesley from Wesley Counselling has offered to share some of her experiences with us, along with some ladies of different ages who have agreed to share some of their perspectives. An afternoon designed for women of all ages providing opportunity to hear & share real stories to encourage & learn from each other in an informal setting.